Del Albright: RENO EXPO TRAIL RIDE A SUCCESS! The 2012 Reno Expo (Off Road, ATV, Home and Garden, Pets, Boats and more) is underway in Reno, NV right now from our friend, Al Lockett (Lockett Shows). Here is Dave Rainey in his awesome and faithful jeep, guiding us around the back roads east of Reno for a ride to benefit BlueRibbon Coalition. We had 13 rigs with a bunch of great folks having fun. 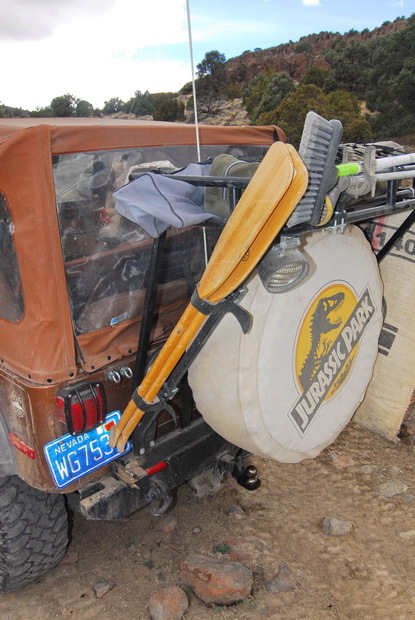 Marty Galantuomini is the owner and his Detroit set up jeep let no obstacle slow him down. The trail ride is Tuesday of the Expo week in Reno., Then the big show runs from Friday though Sunday. Next stop: Moab, UT for the Easter Safari.